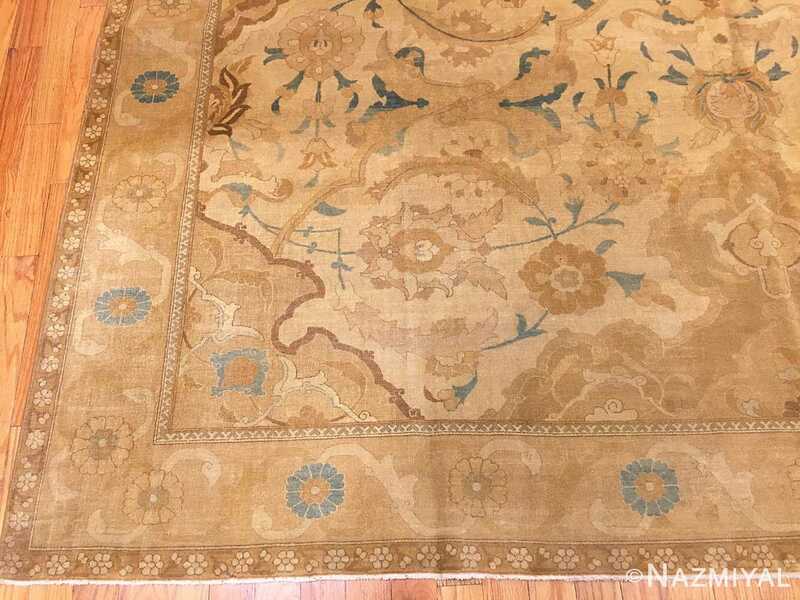 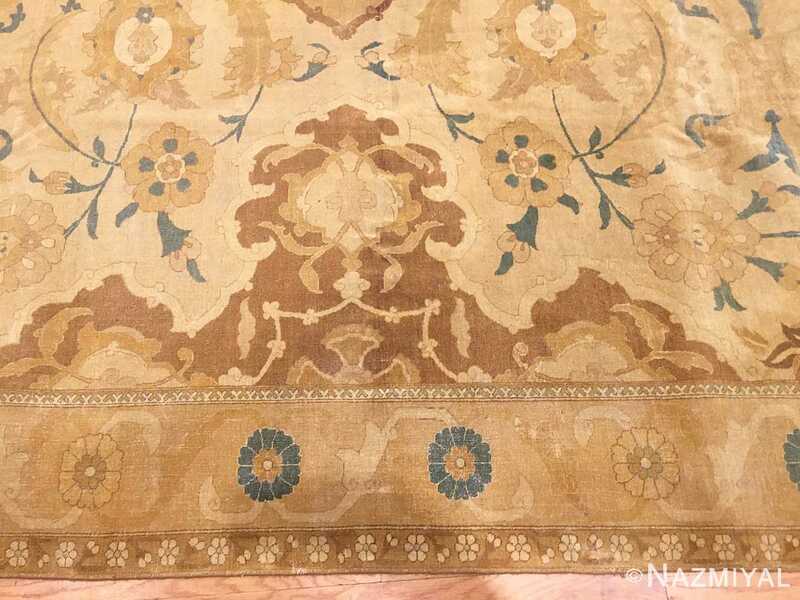 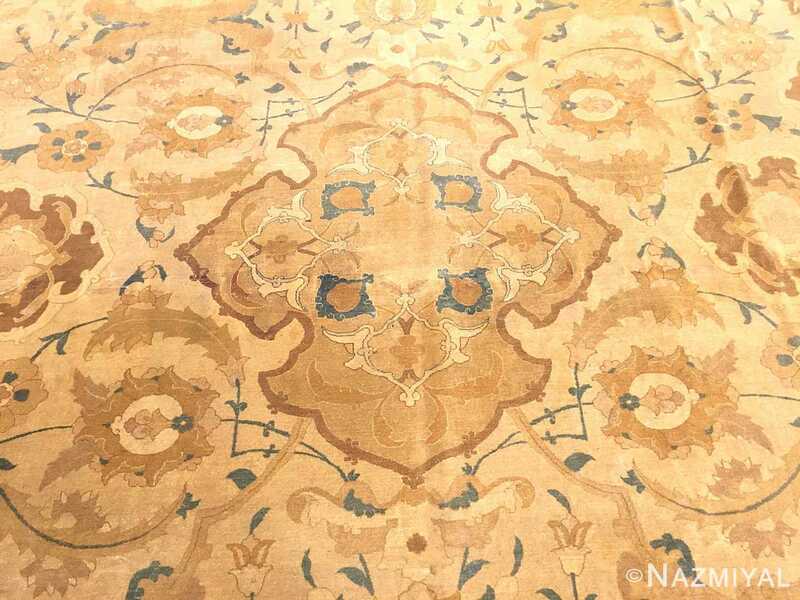 Glowing gilt yellows, filamentous vinescrolls and delicate Shah Abbasi palmettes decorate this exquisite antique Persian Polonaise-style carpet from Tabriz. 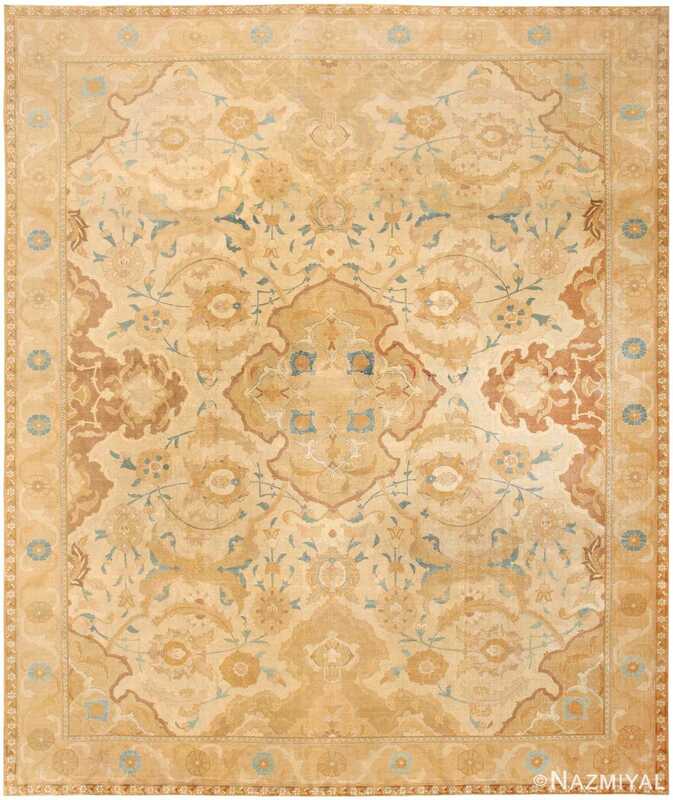 Tabriz Rug, Persia – Crafted in the cosmopolitan carpet-producing city of Tabriz, this lavish Polonaise-style antique rug showcases a magnificent Safavid-influenced design reinterpreted by tremendously skilled master weavers. Embodying the height of affluence and elegance, these lavish Polonaise carpets were first enjoyed by the most privileged royals. 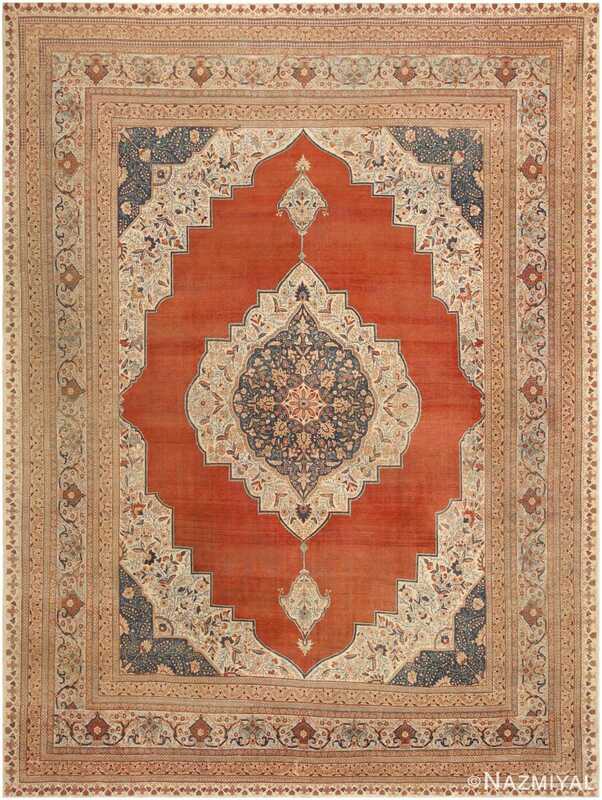 Later, these Safavid designs appeared in Poland where they complemented the neoclassic aesthetic tremendously well. 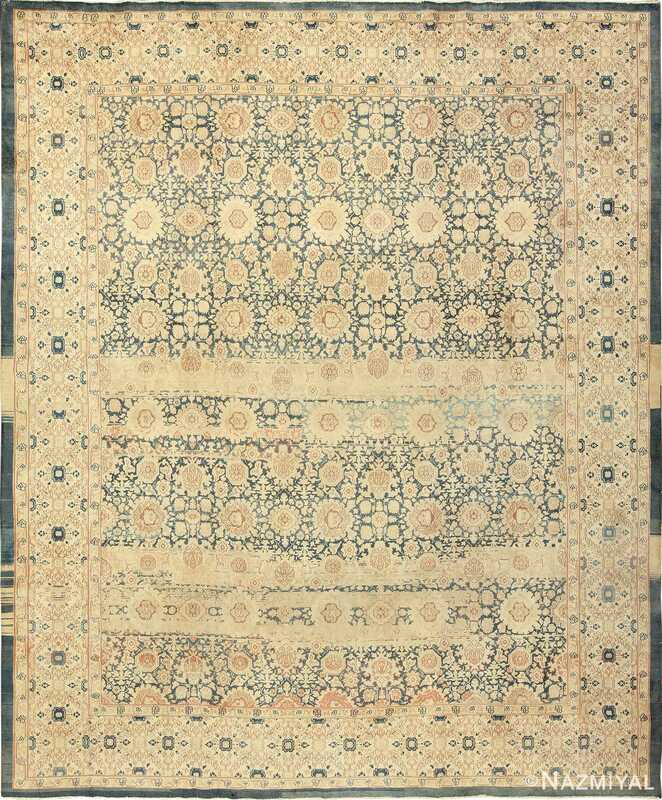 This splendid example from Tabriz features a restrained medallion surrounded by a delicate large-scale arabesque and repeating medallions that appear to extend beyond the field. 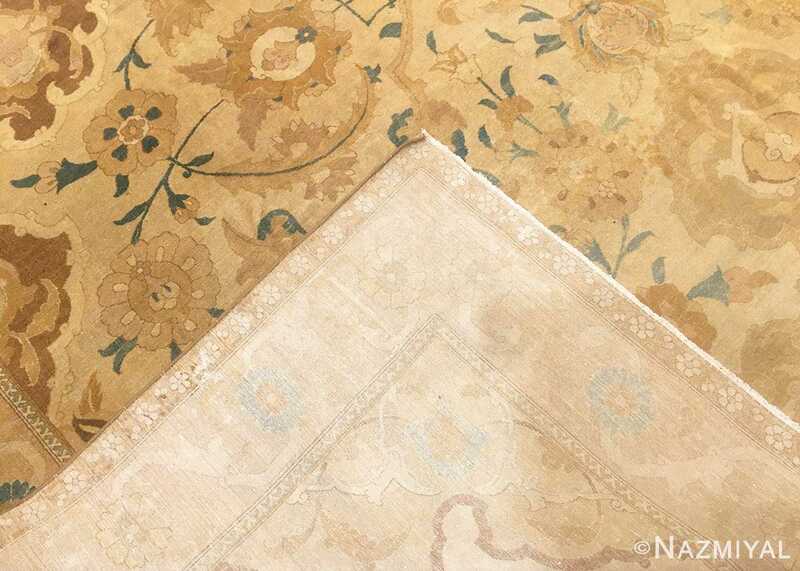 These low-contrast decorations are paired with cool glaucous blue accents that remain elegant and sophisticated today. 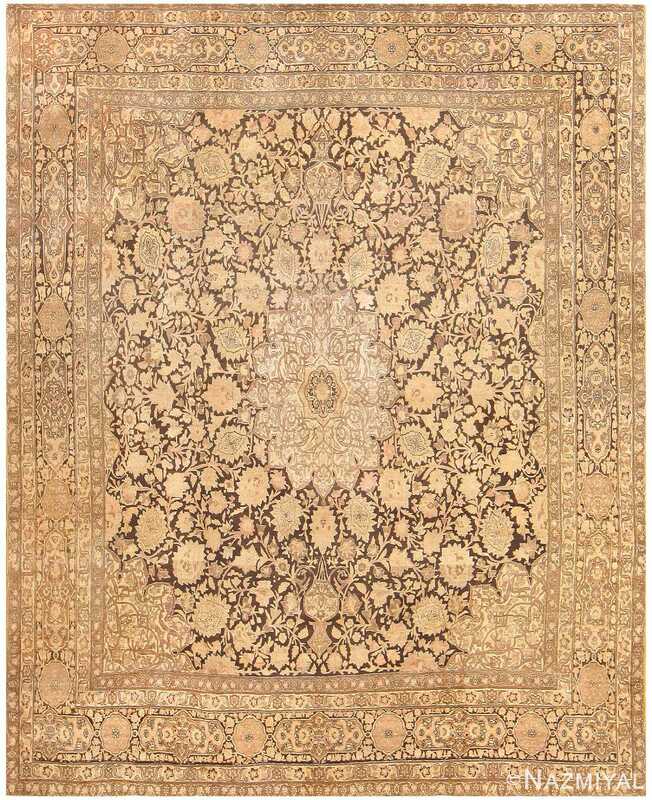 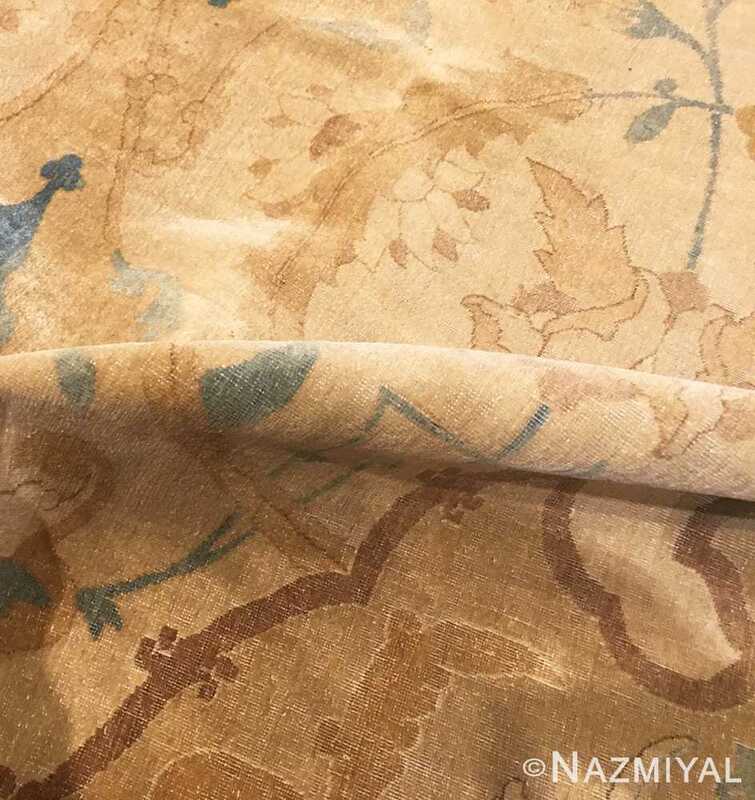 Exquisite interwoven borders with graceful overlapping calyces and soft rosettes flatter the delicate composition while hearkening back to the simpler, cleaner botanical patterns that debuted under the guidance of Safavid courtiers and master craftsmen.